"Conspiracy of Darwin and Dickens"
London, 1868. The industrial revolution, the era of incredible inventions. Previously unthinkable technologies are changing the lives of millions. People will flock to London, inspired by the new opportunities, eager to become part of the new world over which are not powerful kings, emperors, politicians, and priests of the world, where the money will even out all. However, not everyone thinks like this world good. Working, driving the mighty locomotive of the British Empire, little different from slaves. While others are reaping the fruits of their labor, the workers live in poverty and die young. Unhappy members of the lower classes are combined into a gang, starting a struggle for life. 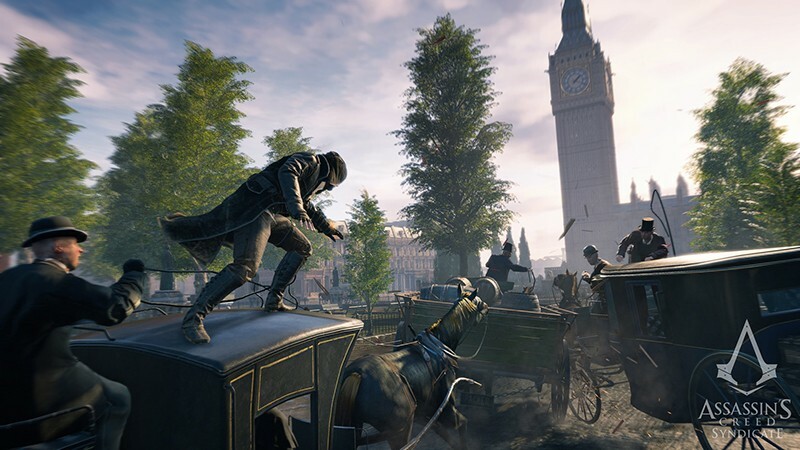 For this fight join the assassins, ready to re-ignite the long-smoldering conflict with those in whose hands the power over London. This battle will ride all over the city, changing history. 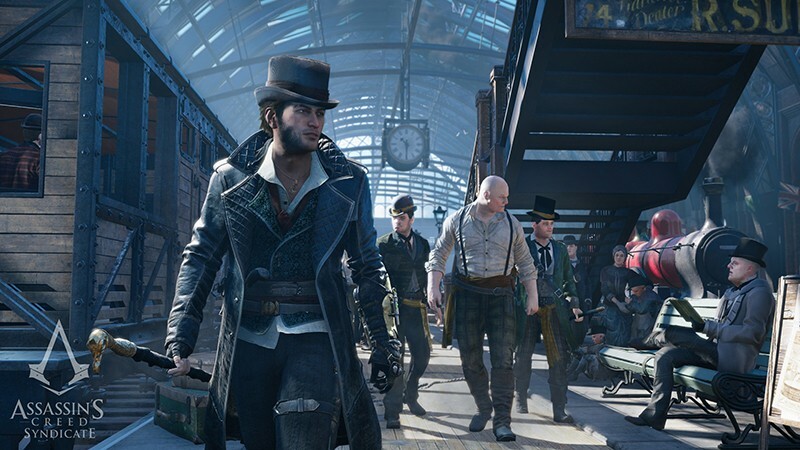 Get introduced to Jacob fry, assassin, destined with the help of his sister Evie to change the lives of millions of people in the new game, Assassin´s Creed® Syndicate. 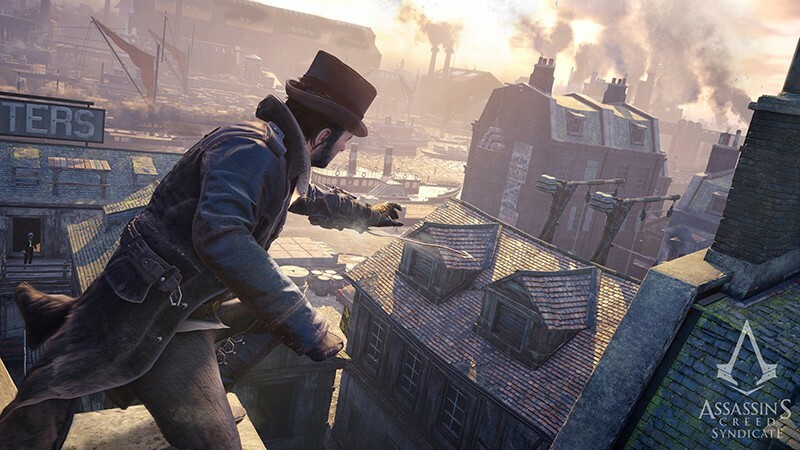 Dominating the underworld and lead him to liberate London. Intrigue, adventure, fierce battles — all this awaits you in the new game! • First assassin at the dawn of a new era. Play as a daring and courageous Jacob fry. Get ready to wave your fists, don´t forget about counter attacks and lightning strikes, fight the enemies one by one. 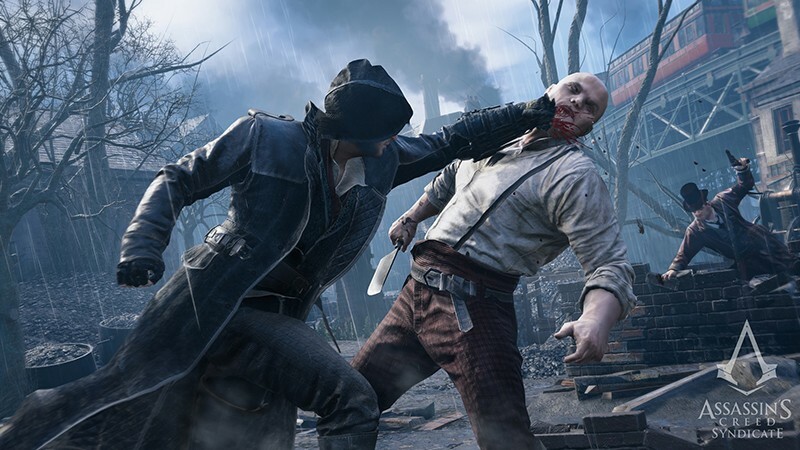 Kill secretly, use new weapons: kukri, the knuckles and the blade from the cane. Sanbao now will help you to climb the building in seconds. Arrange the enemies deadly surprise! • Explore the fast-paced London. An outdoor world of Victorian London, from Buckingham Palace to the slums of Whitechapel. 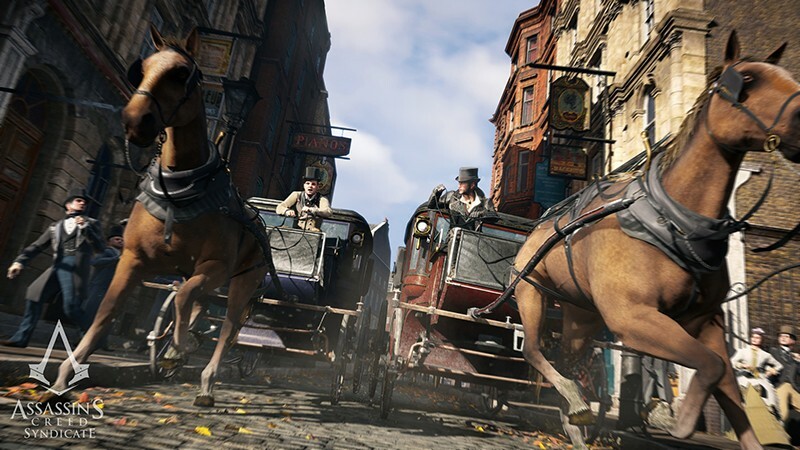 Track down your enemies or hide from persecution, jumping on a speeding carriage. Steal cabs and race without rules the streets of London. Don´t forget the Thames, because it is now a steam boat! • Subdue the criminal world of London. Help Jacob to become the leader of the most feared gangs in the UK. The only way to deal with rival gangs and the rich are in power, bringing freedom to the oppressed masses. Penetrate into the lair of the enemy, using all available weapons, become the head of the underworld of London. Rob trains, free the children who are forced to work — stop at nothing, bringing justice to the streets of London. •Sign in with your Uplay account or register a new one if you don´t have one. 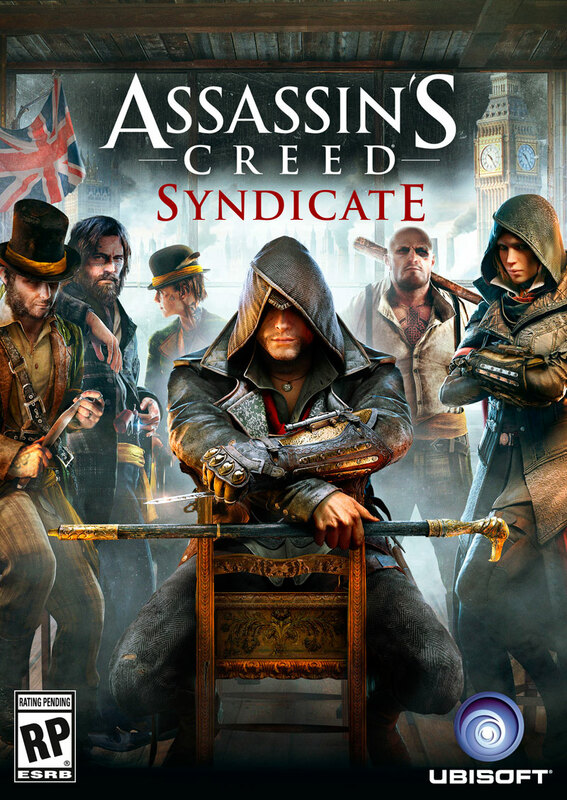 •Enter the activation key (to obtain it you need to buy Assassin´s Creed: Syndicate). 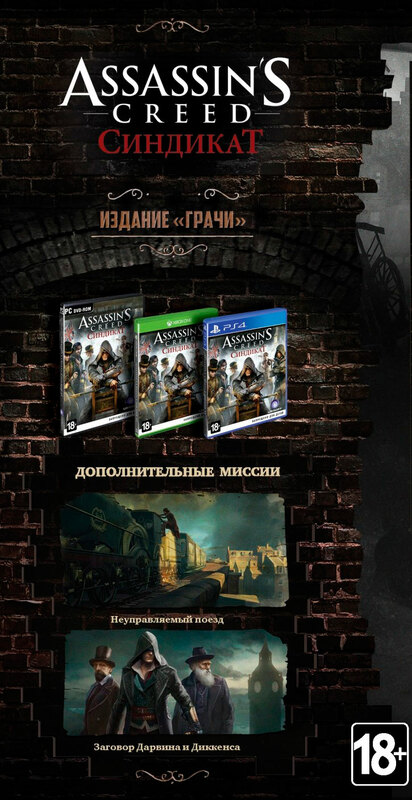 •After that, the game appears in your library of games and you can download Assassin´s Creed: Syndicate.